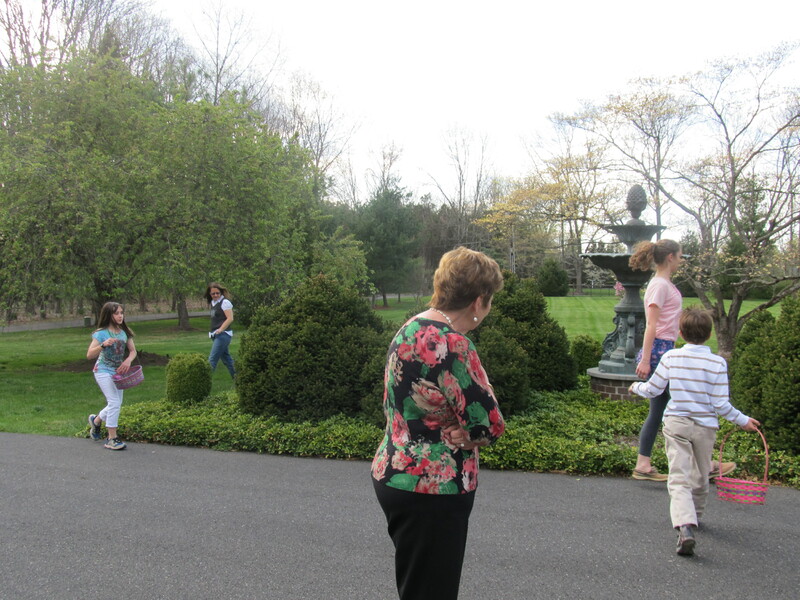 Easter this year fell on Grandmom Mullaney’s birthday – if you remember, this blog is named after a famous catch-phrase that Grandmom Mullaney used to say. 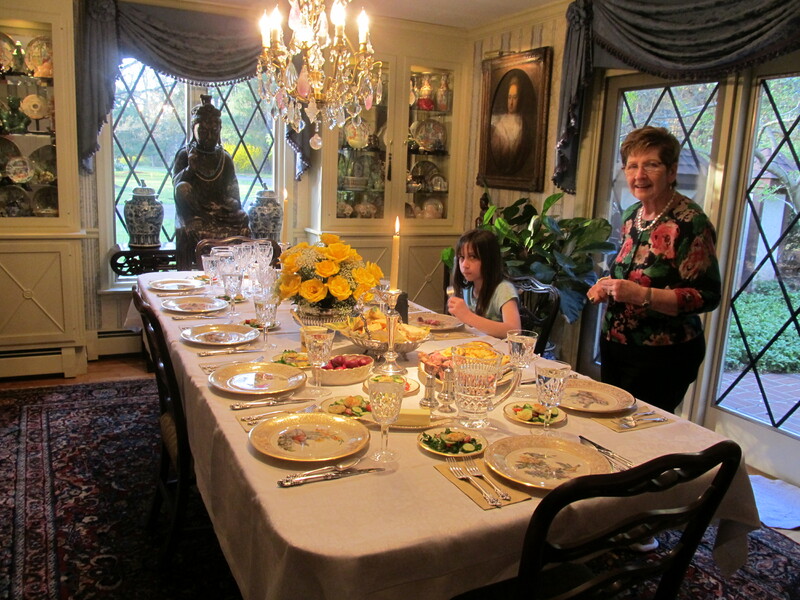 So we remembered Grandmom Mullaney at dinner yesterday not only by discussing her birthday, but also by having 3 desserts to choose from…..thus requiring some folks to request “a sliver of each”. 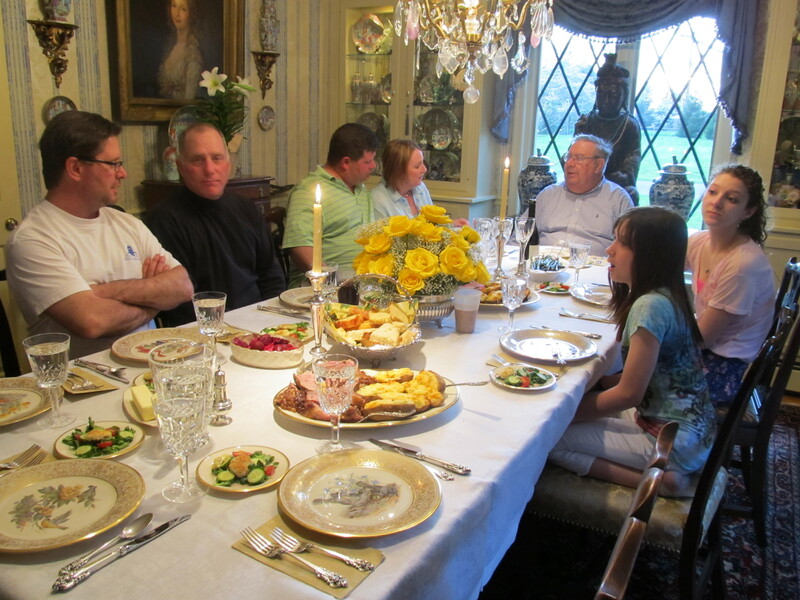 Anyway, here are a couple snippets from our holiday – we were 2 brothers (and their families) short so it was a lighter holiday dinner than normal. We also had Pat’s friend, Paul, join us as well. He is a professional photographer so we were lucky to get some great pics from him! 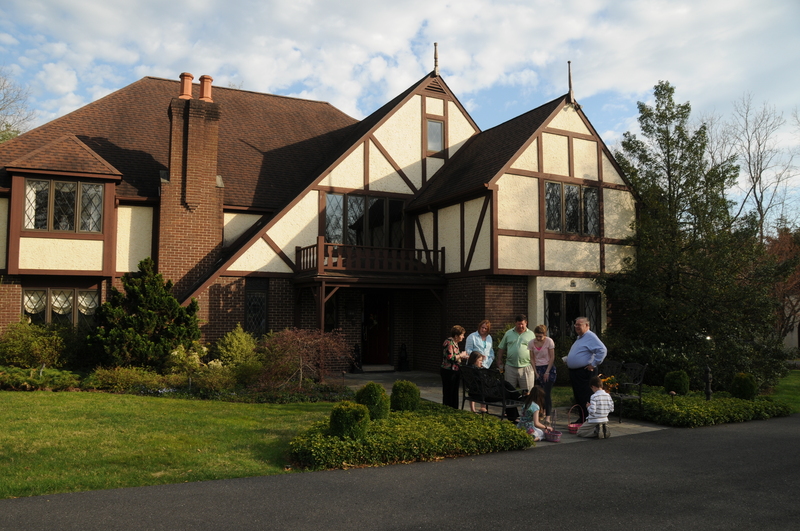 This Easter was fabulous – the weather was beautiful (high 60’s, breezy, and sunny), the food was delicious, and the laughs kept coming. Here are some shots. Here were the apps. 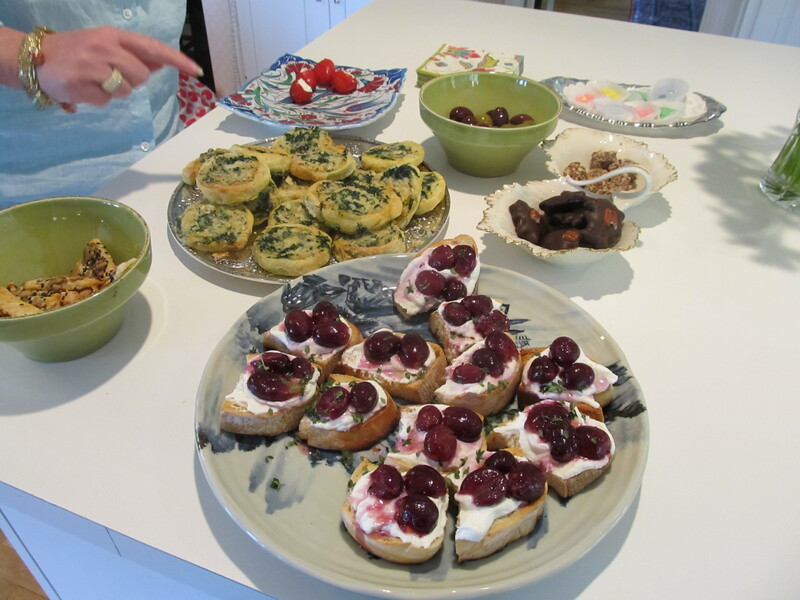 I made two of them: The spinach gruyere pinwheels and the roasted grape crostinis – I will post recipes for these items in the near future. My mom made cheese straws and also stuffed peppadews with goat cheese and had some olives and candy. 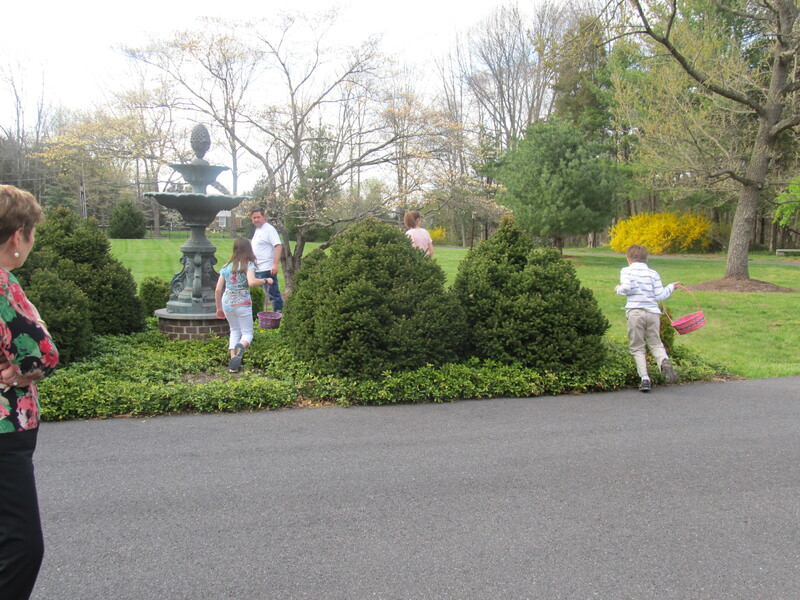 It wouldnt be easter without the easter egg hunt! Notice how 2 of the parents are just as active in the hunt as their children??? After the Hunt...counting the loot! 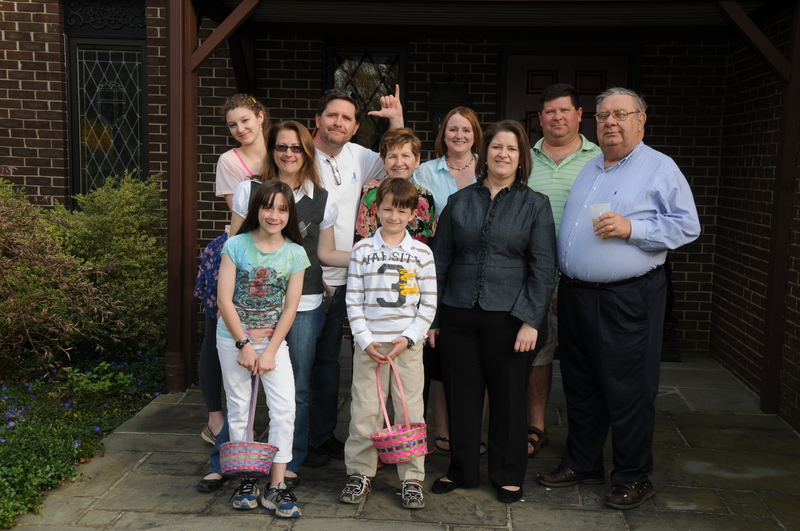 Here was a family group shot – I love these and we’ve had a couple occasions to do them this year. 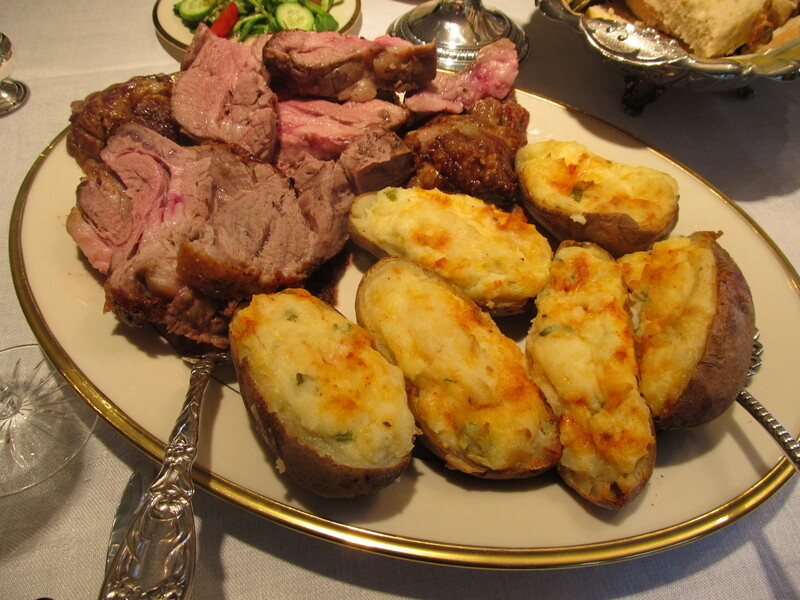 Here are some dinner shots. 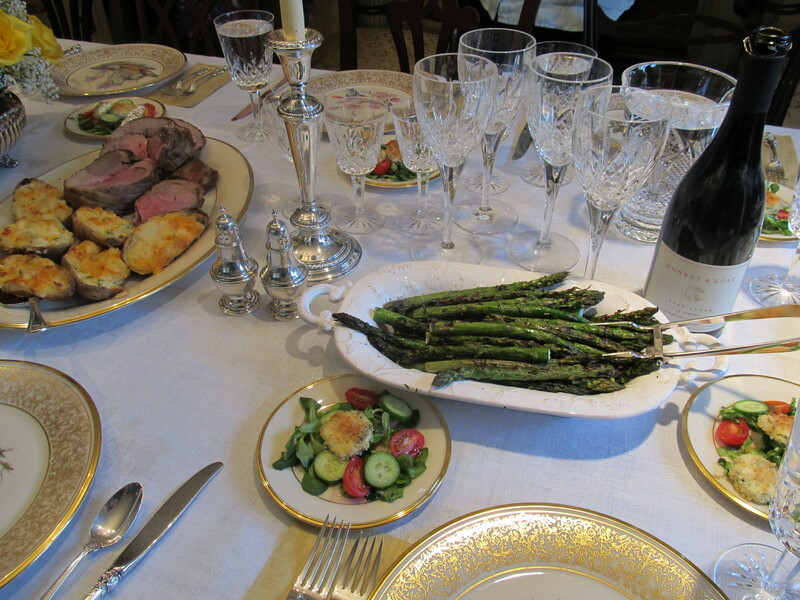 Our menu consisted of: Lamb, twice-baked potatoes (made by Julie), grilled asparagus, salads with baked goat cheese, pickled beets, and bread (made by me!). And even the peacock came to say hello! 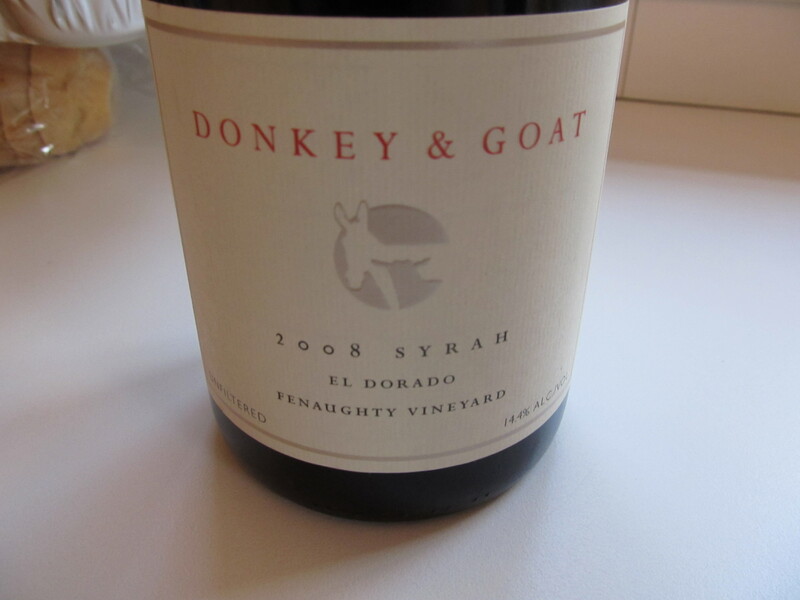 (even though we lit off a quarter stick of dynamite 2 hours prior to try to get him to LEAVE – obviously, it didn’t work!) 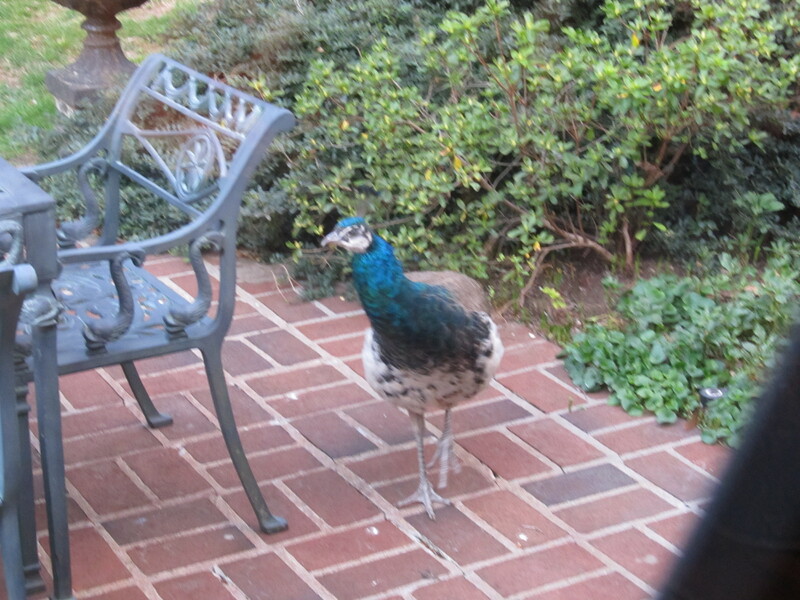 If anyone lives in the area and would love to have a peacock on their property – and you think you can catch him – please let me know. My parents would be so grateful for you to have him. 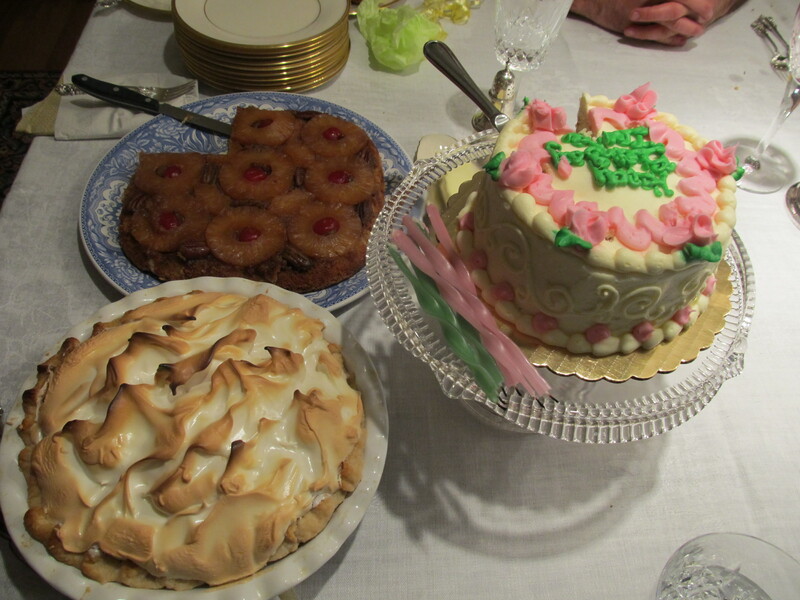 And for dessert: My mom’s amazing Pineapple Upside-Down Cake, Lemon Meringue Pie, and Birthday Cake for me (since it was my birthday the day before). It was a tough choice to decide on just one. Some of us needed a sliver of each!!! All in all, it was a wonderful day for everyone. Awww thanks, Heidi. That is so sweet of you. I am not an expert in gluten-free cooking or substitutes for wheat products…..but i will pass along recipes I find on foodgawker (great site for gluten-free recipes – or any recipe really). You blog is wonderful. You have so many talents. Michael – thank you so much. It’s great to hear from you and I am glad that you are enjoying it! Take care! !